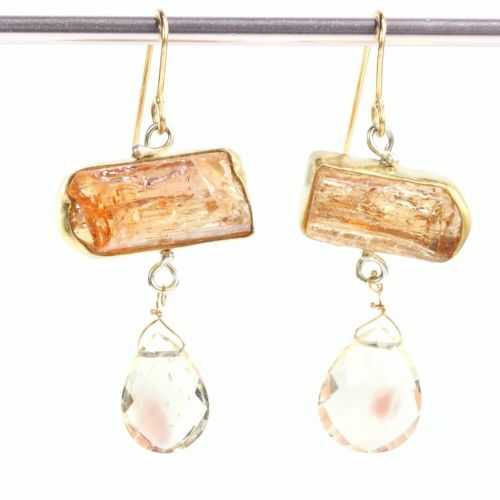 View cart “Green Beryl Crystal & Raw Green Tourmaline Slice Earrings” has been added to your cart. From the “Beautiful Blondes” jewelry collection: An entire world captured in quartz! 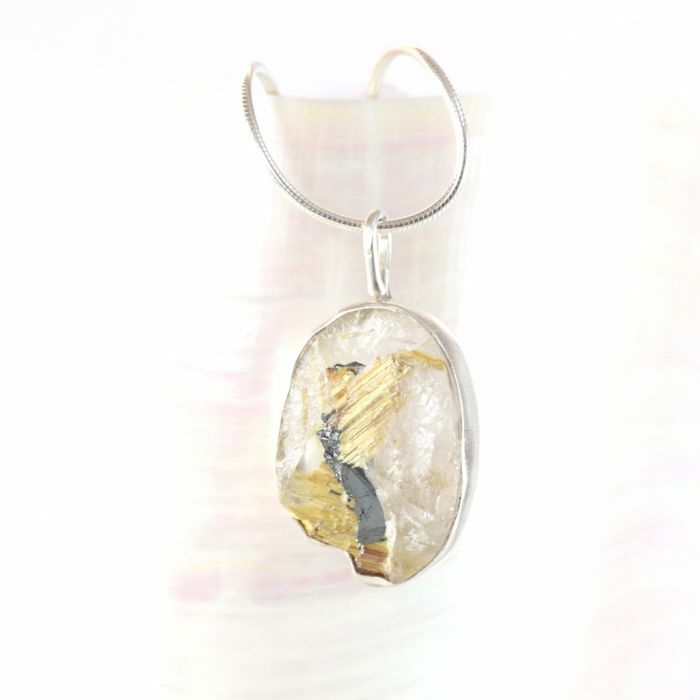 Rutilated quartz pendant featuring stunning golden rutile and hematite inclusions. A beautiful specimen. 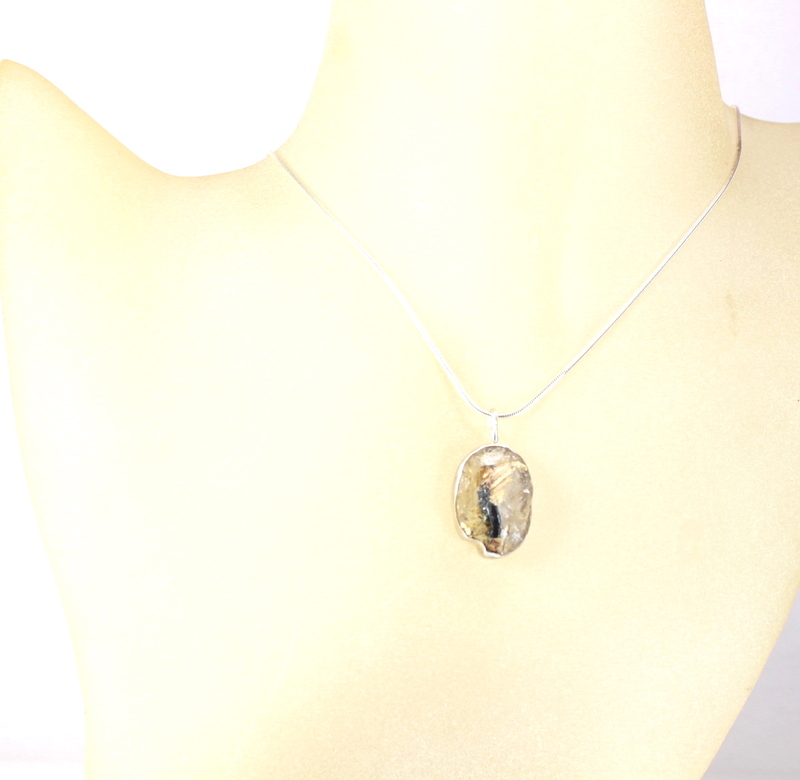 Hand set in a fine silver bezel, with a cut out sterling silver back. Sterling silver bail and 18″ sterling Italian snake chain. 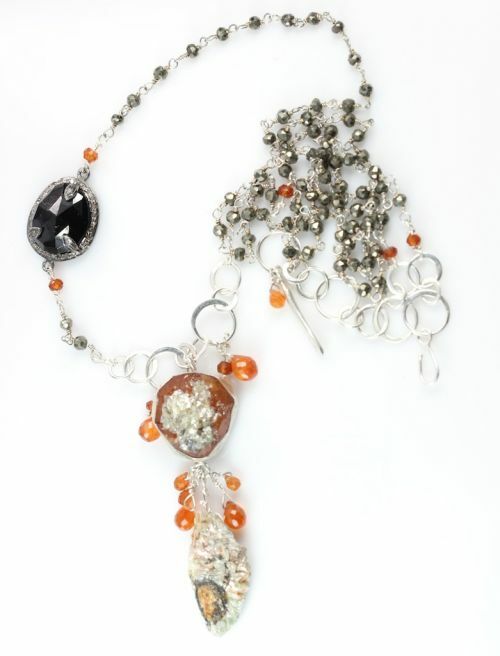 Pretty, with a little edge. 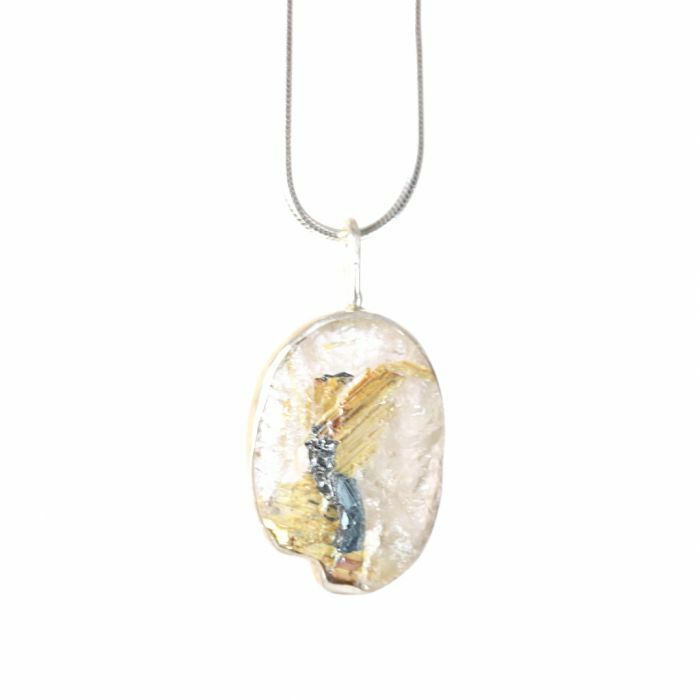 The Metaphysical Particulars: Rutile (or rutilated) quartz (which is also referred to as the “Venus Hair Stone”) symbolizes the “arrows of love”. 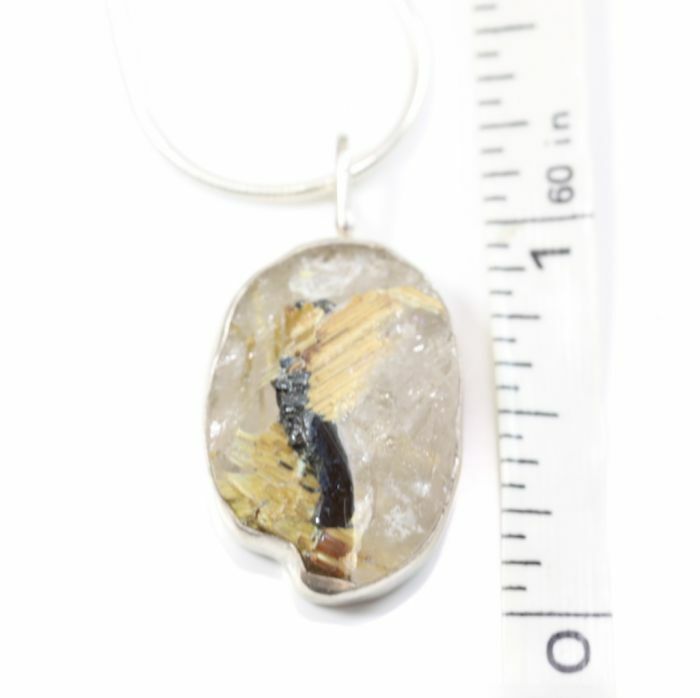 Rutile attracts love, and stabilizes relationships, hematite is grounding and protective. 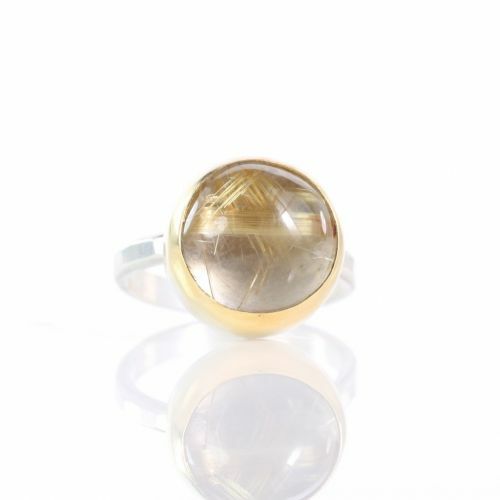 This gemstone also helps with spiritual quests. Jewelry to enhance your (love) life! 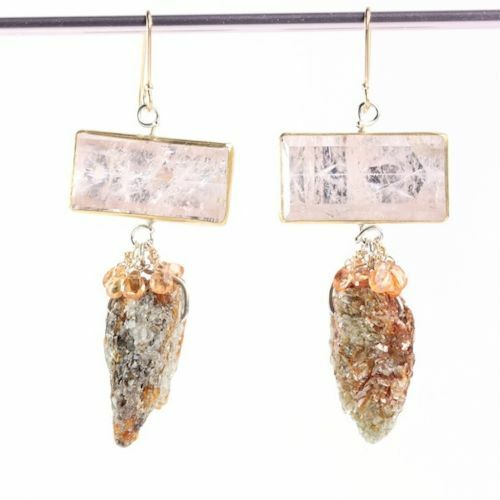 All Leda Jewel Co jewelry is created with natural crystals, gemstones and recycled gold and silver.